“Martech” isn’t shorthand for “marketing technology.” It’s the intersection of marketing, technology and management that fires the imagination and enables the possible: silos come down, agility increases and customer satisfaction soars. Join the community of marketing leaders who share this “grand view” at MarTech®, October 1-3 in Boston. You’ll hear more than 60 keynotes and presentations that inform and inspire from experts at leading B2B and B2C brands including Akamai, Aetna, Casper, Dropbox, IBM and more. 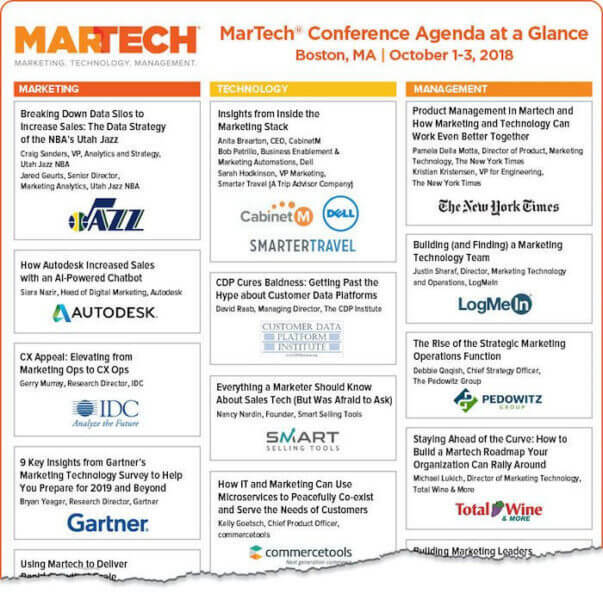 Sessions and keynotes are only part of the value of attending MarTech. You’ll enjoy both structured and unstructured networking events designed to connect you with your martech tribe, including Speed Networking, the Opening Reception, the Networking Reception (sponsored by Magnolia) and Birds of a Feather lunch tables. You’ll also meet 65+ martech vendors in our Expo Hall and receive demos of time-saving products and solutions. Book your All Access pass today and save $300 on all sessions, keynotes, networking, breakfasts, lunches, snacks, Expo Hall access and free WiFi. Using CDP to Make the Most of Your Customer Data. Our workshops always sell out, so secure your seat today! See the full MarTech workshop lineup. 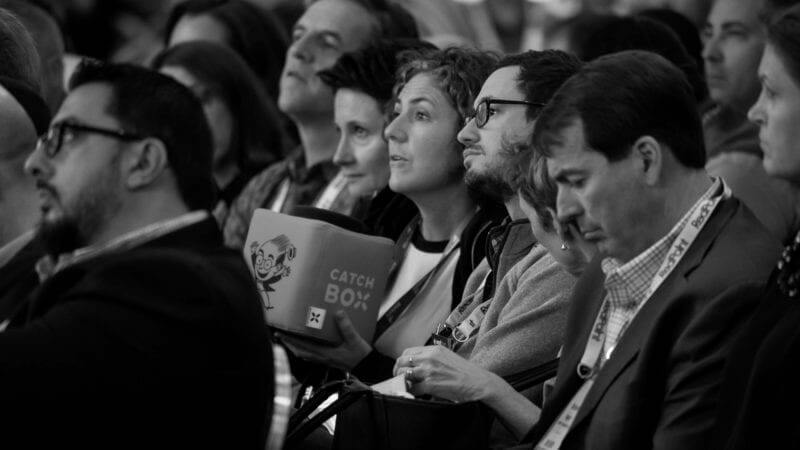 If your goal is to discover and vet marketing solutions, pick up an Expo+ pass. The MarTech Expo Hall is the perfect place to meet and learn from more than 65 leading martech solutions. Psst… Mark your calendars for Tuesday, 8/21 at 1:00 pm ET for a free live webinar: “5000+ Martech Tools: What’s a marketer to do?” Scott Brinker, Conference Chair at MarTech, and Editor at Chiefmartec.com, and Anand Thaker, CEO and Founder at IntelliPhi, will discuss trends in the martech landscape and how they might impact your marketing efforts. Secure your spot now. The post ‘Martech’ is more than software. It’s a tribe. Join us in Boston. appeared first on Marketing Land.